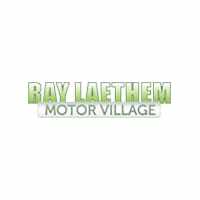 Affordable All-Wheel Drive Cars | Ray Laethem Chrysler Dodge Jeep Ram " "
When you are in need of a vehicle that can handle tough terrain and inclement weather with ease, not just any car will do. You will want to opt for an automobile with all-wheel drive. Fortunately, at Ray Laethem Chrysler Dodge Jeep Ram, we offer a vast selection of affordable all-wheel drive cars for sale in Detroit. What are the advantages of all-wheel drive? Read on to find out and peruse our inventory below. Our Clean Carfax 2010 Jeep Wrangler Rubicon 4X4 in Black is an absolute force to be reckoned with on the road and, more fittingly, off the road. Designed to put you in command, our 2016 RAM 1500 Big Horn Crew Cab 4X4 in Black & Gold Pearl Coat offers capability, reliability, and comfort! Take on your day behind the wheel of our Clean Carfax One Owner 2016 Jeep Cherokee Limited 4WD SUV displayed in Granite Crystal Metallic Clearcoat! Feast your eyes on our top-of-the-line Clean Carfax 2018 Dodge Journey GT AWD presented to you in Granite Pearl that's ready to turn heads everywhere you go! Enjoy our Clean Carfax One Owner 2018 Jeep Cherokee Latitude Plus 4WD that's dynamite in Rhino Clearcoat! Step up to an ultra-comfortable ride and superior performance with our 2017 Chrysler 300 S AWD Sedan that's bold and eye-catching in Billet Silver Metallic Clear Coat! Our Carfax One Owner 2013 Jeep Wrangler Unlimited Sport 4X4 shown proudly in a Billet Silver Metallic paint finish, is ready to handle everything thrown its way. When searching for affordable all-wheel drive cars for sale in Detroit, look no further than Ray Laethem Chrysler Dodge Jeep Ram. Contact us for more information or apply for financing in advance.